It feels pretty awesome to read on a whim! How was your week? Read anything amazing? Oo The Bear sounds good, as does Madam. I am excited to read your reviews of them! The Bear is incredible. It's a heart breaker! Lol! Well, that's okay too! 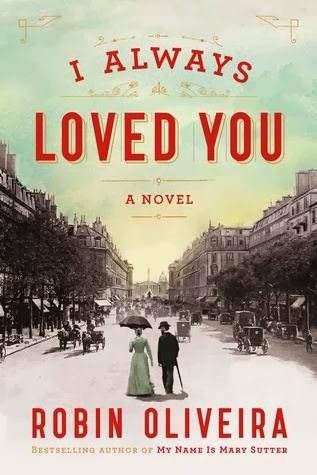 A novel about Mary Cassatt in Paris sounds wonderful! It's really well done too. I'm enjoying it! How was Anya's Ghost? This week has been pretty productive but not as much as I wanted it to be. Have a good week. I'm very excited to start I Always Loved You--perhaps this afternoon? Happy reading! I look forward to you sharing your thoughts on some of the books you read recently - in particular The Bear. It's not my typical read but there's something about the synopsis that piqued my interest. Here's to another great reading week! I'll be reviewing that one soonish. I don't think it's a typical book for anyone, lol ;) It's intense!! I added I'll Always Love You to my TBR! I really hope you let us know what you thought of Little Failure, it's one I've been going back and forth over picking up! Soon, I promise ;) Have you read anything else of his? I adored "I Always Loved You" - so, so good. Hope you enjoy it, too! I'm wondering what you're thinking of Oliveira's latest. I read her previous one, My Name is Mary Sutter and enjoyed it a lot. The Sun and Other Stars sounds good, and I really like that cover. And it's set on the Italian Riviera, that can't be bad. Definitely :) While I was reading it I just wanted to BE there! You've a good start on your awesome last year! I Always Loved You looks sweet. And LOL that Cartman gif. I always loved you sounds great. I hope you enjoy it. Have a great week. I really enjoyed Brigid Pasulka's debut. I will have to get my hands on a copy of her new book! Thanks, Lindsey. Same to you!